Crews responded to a construction accident at a parking garage on the Miami Dade College Campus Friday. The accident happened around 2:30 p.m. at the West Campus at 3800 Northwest 115th Avenue in Doral. Miami-Dade Fire Rescue said two injured construction workers were being treated on the third floor for their injuries. According to reports, they had to hoist them down to the ground before transporting them to the hospital. One is believed to have suffered a leg injury. The accident is currently under investigation with MDFR. Reports indicate that one of the concrete plates that interconnect to make up the structure, came crashing down on the third floor. Crews are not calling the accident a collapse at this time. Crews began construction on the $22.5 million, five-story garage to accommodate the increasing number of students at the campus in January 2012. That October, part of the nearly completed garage collapsed, killing four workers. Miami Dade College reached a $33.5 million settlement with the contractor and subcontractors hired to build the garage after the collapse occurred. Working on a construction site is one of the most dangerous jobs in the United States. As this case shows, construction accidents injure or kill thousands of workers each year. Construction accidents account for one in five workplace fatalities in America. Accidents like these happen when safety engineers are negligent or when safety programs are absent. Regardless of what type of injury was suffered, the injured worker is entitled to some kind of compensation. A Florida Worker’s Compensation Lawyer at Whittel & Melton can help injured workers and families pursue personal injury or wrongful death claims to make sure injured workers are fully compensated for any damages suffered. A 29-year-old construction worker was killed Wednesday after a piece of heavy machinery being hoisted by a crane fell and hit him as he stood on the 37th floor of an Edgewater condo building. According to reports, the man was working on Biscayne Beach Condos, located at 711 NE 29th St., when a piece of equipment weighing more than 2,000 pounds fell at about 4 p.m. When rescue workers arrived, the man was dead already dead. Miami police are investigating the accident. Construction work is a very dangerous industry. Workers are expected to perform difficult physical labor, sometimes at great heights, and usually with heavy machinery. 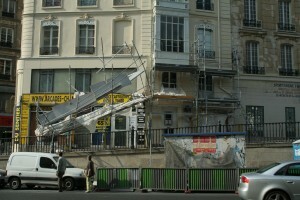 Any number of accidents can occur on a daily basis on construction sites. In 2012, 183,000 construction workers were injured in job-related accidents in the United States. Another 775 were killed. In fact, each and every year there are more work-related injuries in construction than in most other industries. A St. Petersburg Fire Rescue crew saved a man after he fell into a deep hole at a construction site Wednesday morning. The 57-year-old man was working with a construction crew on top of a concrete lift station at 92nd Avenue N and 3rd Street. Authorities believe he may have backed into the 2-foot-by-2-foot opening before falling some 25 feet. The accident occurred around 9:40 a.m. The man was trapped for around an hour. Rescue officials used heavy equipment and a basket to retrieve the man. He suffered fractures to his arms and legs and was taken to Bayfront Health St. Petersburg. Officials were very concerned about the possibility of rain since there was already sewer water in the hole, but fortunately that was not an issue. Construction work is considered to be one of the most dangerous professions in the United States. Construction sites contain many hazards such as heavy machinery, demolition, elevated heights, crowded work sites and other dangers that can leave a worker or passerby seriously injured. Construction accidents almost always result in injuries, and even when all safety guidelines and precautions are followed accidents can occur from poor planning, improper training, lack of communication and even failure to warn employees of pending dangers on site during a project. Slip, trip and fall accidents are quite common because of uneven ground, holes and other various trip hazards. Unfortunately, hard hats do little to protect workers from suffering a head, brain or spinal cord injury. If you have been injured while working on a construction project in Florida, a Florida Injury Attorney at Whittel & Melton can help. Construction work is not only demanding, but it is very dangerous. Any type of construction accident has the ability to result in catastrophic personal injuries and even death. After suffering an injury, your medical bills can continue to pile up, and your inability to work can place a severe financial strain on your and your family. A Florida Injury Lawyer at Whittel & Melton can help hold construction companies responsible for their negligence. We will work tirelessly to make sure that you get the justice you deserve and that your family has everything they need so that you can focus on your health and recovering. Four construction workers were rescued from collapsed scaffolding under an Interstate 95 bridge in Fort Lauderdale on Monday and taken to Broward Health Medical Center. Their conditions were unknown late Monday, according to the Fort Lauderdale Fire rescue Division. One construction worker was buried under the collapsed scaffolding and three others were left dangling in the air for about two hours. Four construction workers were rescued from collapsed scaffolding under an Interstate 95 bridge in Fort Lauderdale on Monday. The men were part of a crew working under the southbound lanes that extend over the New River between State Road 84 and Davie Boulevard. The collapse was reported on Monday around 3:30 p.m. near the 2000 block of Southwest 21st Avenue. It took the firefighters a bit more time to rescue the workers due to unforeseen circumstances. As the Tri-Rail train travelled by on the train bridge, it would cause vibrations. Even the cars driving by caused the scaffolding to shake. 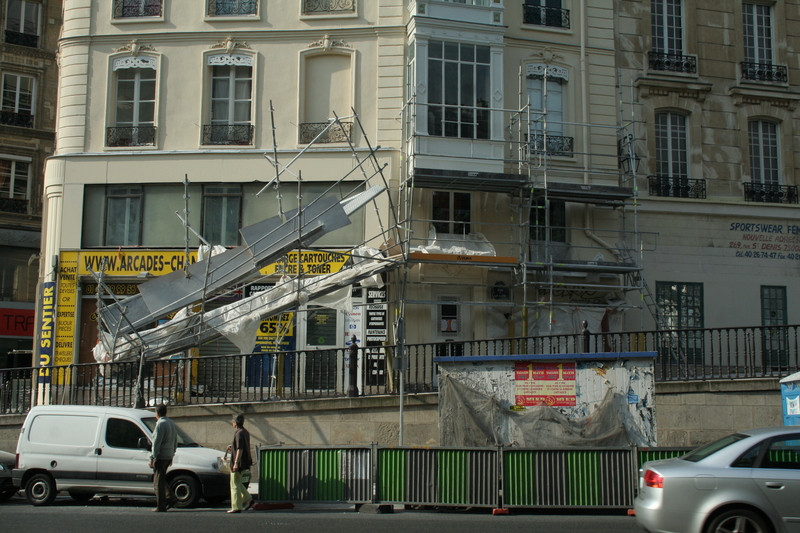 Eventually, the one worker was extricated from the rubble of the scaffolding. Another two workers were brought down with an extended bucket truck. The location of the fourth victim over the water required a Technical Rescue Team to get involved. A firefighter was lowered on a harness and attached himself to the dangling worker. They both made it to the ground by 5:15 p.m.
Scaffolding is a platform or other type of structure that is temporarily used to help build, install or repair an area that cannot be reached by a ladder or another tool. According to the Occupational Safety and Health Administration, there are approximately 4,500 scaffolding accidents every year. The height in scaffolding accidents can result in very serious or even fatal injuries. Injuries often include broken bones, severe fractures, head injuries, spinal cord trauma, paralysis and death. On top of the physical harm suffered in scaffolding accidents, victims and their families are usually left to deal with a great amount of financial and emotional stress. Medical bills, lost wages and disability are all cost factors that could be an issue following such a serious accident.